If you love art, London should be at the top of your list for places to visit. Here there are excellent galleries and exhibitions with themes and topics to suit every taste. If you love to be inspired by great masterpieces from history, spend an afternoon wandering in the sumptuous rooms of the National Gallery on Trafalgar Square, or the National Portrait Gallery just next door. For contemporary art, the immense Tate Modern gallery should definitely be your destination, or try a visit to the Serpentine Gallery, hidden away in Hyde Park. If you like beautiful objects or interesting collections, head to the Wallace Collection in Marylebone, the British Museum in Bloomsbury or the V&A in South Kensington. Or if design is more your kind of thing, try the always-inspiring Design Museum, on Kensington High Street. What do all these galleries, museums and exhibitions have in common? World class art, yes; but what is more useful for the visitor, entrance to their permanent collections is completely free. 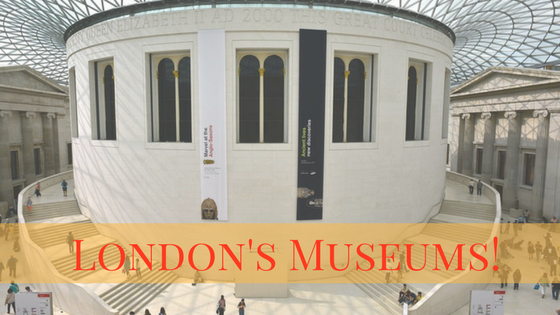 In fact, one of the best things about London is that there are so many museums which you can look around for free, which means you can pack a lot of culture into your visit without having to spend much money. It’s not only art galleries: many other museums offer free entry as well. Try the Science Museum for an encyclopaedic display of all areas of science, historical, cutting edge, or futuristic. The Natural History Museum is equally vast, and covers the marvels of natural world. Or try the Museum of London, which shows the many layers of history of this perpetually dynamic and ambitious city. Take a look at our accommodation offers for your next visit to London.